Jet Airways' will seek approval from its shareholders at a meeting on February 21 for conversion of its debt into 114 million shares. The plan gives lenders the ability to appoint nominees to the Jet Airways' board. Jet Airways said on Thursday its board had approved a rescue deal which will make its lenders its largest shareholders and fix a near Rs 8,500 crore ($1.2 billion) funding gap. With debts of more than $1 billion, Jet has struggled over the last year as competition intensified, the rupee depreciated and high oil prices hurt margins. The airline said in a regulatory filing that its board has approved the rescue deal by the lenders, led by State Bank of India, which includes an equity infusion, debt restructuring and the sale or sale and lease back of aircraft. Vinay Dube, Jet's Chief Executive Officer, said the airline is confident of delivering a "more strategic, efficient and financially viable airline" through the plan. 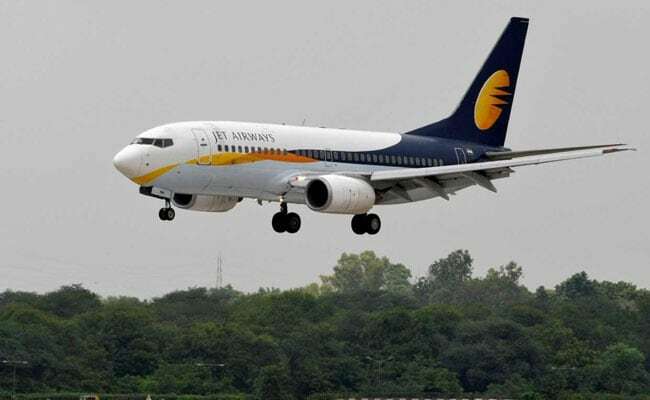 The plan will also need regulatory approval from the Securities & Exchange Board of India, Ministry of Civil Aviation, and the Competition Commission of India, Jet said. It did not mention any cash injections from existing shareholders such as founder and chairman Naresh Goyal and Etihad Airways, which owns 24 per cent of Jet. The airline reported a fourth consecutive quarterly loss on Thursday as it sought to allay concerns of its aircraft lessors, employees and other creditors with the plan, which must be approved at a shareholder meeting on February 21. Jet reported a net loss of Rs 588 crore ($83 million) for the three months ended December 31, compared with a profit of Rs 165 crore a year earlier. The airline has outstanding dues of about $400 million, mainly to lessors and vendors, as well as debt repayments starting with roughly Rs 1,700 crore due by end-March, credit-ratings firm ICRA says. It also owes money to staff and had net debt of more than Rs 8,000 crore as of end-September. At the special meeting, Jet will seek approval to convert lenders' debt into 114 million shares. The rescue plan also gives lenders the right to appoint nominees to the airline's board and alter its governance structures. Abu Dhabi's Etihad saved the airline the last time it was in trouble, spending $600 million for a stake in the airline, three take-off and landing slots at London Heathrow and a majority share in Jet's frequent flyer programme.